Congestion, or fluid overload, is a classic clinical feature of patients presenting with heart failure patients, and its presence is associated with adverse outcome. However, congestion is not always clinically evident, and more objective measures of congestion than simple clinical examination may be helpful. Although diuretics are the mainstay of treatment for congestion, no randomised trials have shown the effects of diuretics on mortality in chronic heart failure patients. Furthermore, appropriate titration of diuretics in this population is unclear. Research is required to determine whether a robust method of detecting – and then treating – subclinical congestion improves outcomes. Heart failure (HF) is one of the most common reasons for admission to hospital. It is associated with long in-patient stays, and has a high in-hospital and post-discharge morbidity and mortality, whether left ventricular ejection fraction (LVEF) is reduced (HFREF) or normal (HeFNEF).1,2 Congestion, or fluid overload, is a classic clinical feature of patients presenting with HF. In some patients, pulmonary congestion develops very rapidly because of a sudden increase in LV filling pressures, and a precipitating factor is often recognised, such as acute myocardial ischaemia, or uncontrolled hypertension. In this circumstance, the oedema is localised predominantly to the pulmonary airspaces (pulmonary oedema), while the total amount of fluid in the cardiovascular system remains unchanged.3 For most patients, however, congestion is a more generalised process that usually develops more gradually (peripheral oedema), and its management will be the focus of discussion in this review. Chronic fluid accumulation is responsible for a substantial number of hospital admissions, and identifies patients with a worse prognosis than those admitted due to a sudden increase in LV filling pressures.4 Peripheral congestion in patients with heart failure usually develops over weeks or even months, and patients may present ‘acutely’ having gained over 20 litres of excess fluid, and hence over 20 kg of excess weight. The aim of management is to remove the excess fluid, so that the patient is no longer congested when they leave hospital, now transitioning to a diagnosis of ‘chronic HF (CHF)’. However, for many patients, some degree of congestion remains even with treatment,5,6 and it is not clear how many patients with CHF have subclinical congestion – that is, have an excess of body fluid falling short of the volume required to cause overt peripheral oedema. Why Do Patients with Heart Failure Retain Fluid? How Do We Identify Congestion? The accumulation of fluids is a gradual process. In normal circulation, there is continuous filtration of fluid from the intravascular space into the tissues at a rate dependent on the gradient between the intravascular and extravascular hydrostatic pressure. Any filtered fluid is then drained by the lymphatics. Overt cardiogenic peripheral oedema develops because the fluid retention results in an increase in intravascular hydrostatic pressure and a commensurate increase in the filtration rate, which eventually exceeds the capacity of the lymphatics to drain fluid away (see Figure 1). Some patients do not present until they have developed widespread peripheral oedema. In such cases the need for medical intervention is obvious. However, a substantial number of cases of subclinical congestion will not be clinically recognised, despite the presence of symptoms (i.e. breathlessness). In patients with no known cardiac disease, particularly in older people,11,12 the identification of subclinical congestion (and underlying cardiac dysfunction) at an earlier stage might change the trajectory of the disease. In patients who are already known to have HF, whether subclinical congestion is important is not clear. An objective measure of ‘congestion’ might be helpful not only to allow physicians to tailor treatments to specific targets, but also to allow more reproducible randomised controlled trials designed to assess decongestive strategies, particularly when markers of cardiac dysfunction (such as LVEF) are not significantly impaired. For example, the ALDO-DHF and TOPCAT trials in patients with HeFNEF suggested that while spironolactone might worsen renal function and anaemia in patients with low circulating NPs (and thus, presumably, little congestion), it significantly reduced HF hospitalisations in patients with higher N-terminal of the prohormone brain natriuretic peptide (NT-proBNP).30,31 The majority of HF trials nowadays include raised NPs as a major criterion for enrolment. The commonest cause for hospitalisation in patients with CHF is fluid retention and congestion.4 Hospitalisation itself is associated with an adverse prognosis, and repeated hospitalisations are associated with increasingly poor survival.33 Congestion itself, and not just reduced cardiac function, thus appears to be associated with a poor prognosis. Congestion is a powerful marker of an adverse prognosis and it is thus potentially an important therapeutic target. How Do We Treat Congestion in Chronic Heart Failure Patients? Diuretics are the mainstay of management for patients with congestion. It has become a truism to state that their use is based on empirical judgement and subjective clinical evaluation, rather than evidencebased medicine. Different classes of diuretics are used in patients with chronic HF, although loop diuretics (furosemide, bumetanide and torasemide) are the most widely prescribed. They exert their effect primarily by inhibiting the sodium–potassium–chloride co-transporter in the thick ascending limb of the Loop of Henle, by preventing the re-absorption of these ions, a subsequent diuresis occurs. The loop diuretics mediate their effect from the luminal side of the tubule, and so some glomerular filtration is essential to allow them to work. The beneficial effects of a loop diuretic on JVP, pulmonary congestion, peripheral oedema and body weight have been known for years; diuretics also improve cardiac function, symptoms, and exercise tolerance in patients with HF.34–36 However, no randomised prospective study has ever evaluated their impact on the outcome of chronic HF patients. Particularly in patients with severe renal dysfunction, a reduced response to them is frequently observed and their use alone may be insufficient. Mineralocorticoid receptor antagonists (MRAs) are, of course, also diuretics. Two large trials39,40 have shown that adding spironolactone or eplerenone to standard treatment in symptomatic patients with reduced LVEF (either chronically or after a recent myocardial infarction) produces morbidity and mortality benefits. Whether the beneficial effects are due to a reduction in congestion is not at all clear given the wide range of actions of MRAs.41 The dose of MRA used to induce a diuresis is typically much higher than that used to treat chronic HF. Retrospective studies have raised concerns about a possible detrimental effect of the long-term use of loop diuretics in HF patients, possibly caused by chronic and sustained adverse neuroendocrine activation.45,46 However, it is also logical to think that patients with more severe HF will be prescribed more loop diuretics, which would have then been associated with the adverse outcome.47 The relation between diuretic dose and outcome needs more clarification, but there is the general belief that achieving the lowest tolerated dose, or even a definite withdrawal from loop diuretics, might be beneficial. The role of vaptans in routine practice is still uncertain, but several trials are on the way. At the moment, European Society of Cardiology (ESC) guidelines only recommend that tolvaptan may be used for patients with acute HF and resistant hyponatraemia; in the US, vasopressin antagonists have a class IIb recommendation for the short treatment of acute HF with congestion and persistent severe hyponatremia, at risk of (or having) active cognitive symptoms. In a trial that pre-dates modern therapy, patients whose symptoms and congestion were well-controlled were unable to maintain clinical stability for long periods on diuretics alone. The risk of clinical decompensation was decreased when diuretics were combined with digoxin or an ACE-I.58 The addition of a direct renin-inhibitor to an ACE-I might further enhance diuresis and decrease NP levels,59 but whether this translates into an improved long-erm outcome is not known yet; results for the ongoing ATMOSPHERE trial are expected soon. It has long been known that digoxin used alone in patients with severe congestion – particularly those with atrial fibrillation – can cause a profound diuresis. The effect is presumably secondary to the improvement in haemodynamics induced by both heart rate slowing and by digoxin’s positive inotropic effect, but there does appear to be a modest direct renal effect of digoxin.61 Since the introduction of loop diuretics, digoxin is very rarely used only for its diuretic effects. Levosimendan causes vasodilation of the coronary arteries and systemic resistance vessels, decreasing preload and afterload. Some recent reports suggest that short, intermittent courses of intravenous levosimendan might decrease NPs and possibly HF hospitalisation.62,63 Larger trials are ongoing, evaluating the efficacy of this novel approach (LAICA: NCT00988806 and ELEVATE NCT01290146). The role of sodium restriction is not clear, although part of the traditional management of HF and recommended in guidelines (albeit with an acknowledged low grade of evidence to support the recommendations).71 In acute HF and congestion, the only effect of sodium restriction appears to be to increase the sensation of thirst.72 In patients with chronic HF, a normal sodium diet is associated with better outcomes, albeit on the background of very high loop diuretic dose.73 It seems sensible to suggest to patients that they should not add large quantities of salt to their diet, but excessive restriction has no role. In patients with HeFNEF, and compared with valsartan, LCZ 696 was effective in reducing NT-proBNP after 12 weeks of treatment in the PARAMOUNT trial although the difference between treatment groups was no longer significant after 36 weeks of follow-up.77 Whether this translates into outcome benefits is currently under investigation in the large PARAGON trial, which should complete in 2019. Congestion is a cardinal clinical feature of chronic HF, and is linked to adverse outcomes. Although several interventions might improve congestion, it often remains underdiagnosed. Little is known about the effects of the anti-congestive drugs par excellence, the diuretics, on hard outcome measures, such as mortality. More objective measures of congestion (such as raised NPs, or dilated vena cava on ultrasound) might allow the identification of higher risk patients: trials are then needed to test therapeutic decongestive strategies in order to establish whether increased loop diuretic doses, combined diuretics or more aggressive interventions, such as peritoneal dialysis, might improve the patient’s clinical status and, possibly, outcome. Cleland JG, McDonagh T, Rigby AS, et al; National Heart Failure Audit Team for England and Wales. The national heart failure audit for England and Wales 2008–2009. Heart 2011;97:876–86. Carson PE, Anand IS, Win S, et al. The Hospitalization Burden and Post-Hospitalization Mortality Risk in Heart Failure With Preserved Ejection Fraction: Results From the I-PRESERVE Trial (Irbesartan in Heart Failure and Preserved Ejection Fraction). JACC Heart Fail 2015;3:429–41. Clark AL, Cleland JG. 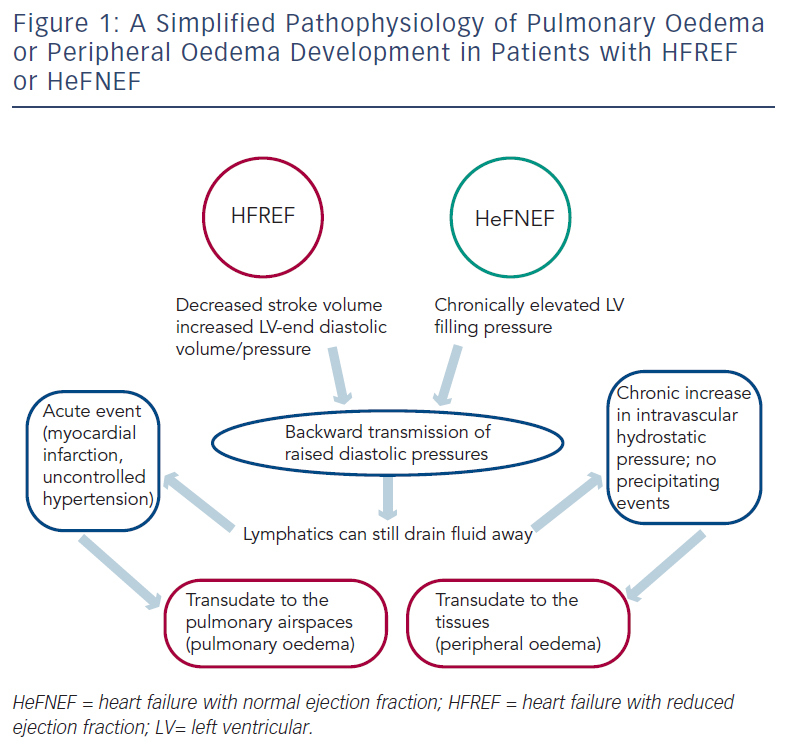 Causes and treatment of oedema in patients with heart failure. Nat Rev Cardiol 2013;10:156–70. Shoaib A, Waleed M, Khan S, et al. Breathlessness at rest is not the dominant presentation of patients admitted with heart failure. Eur J Heart Fail 2014;16:1283–91. Ambrosy AP, Pang PS, Khan S, et al; EVEREST Trial Investigators. Clinical course and predictive value of congestion during hospitalisation in patients admitted for worsening signs and symptoms of heart failure with reduced ejection fraction: findings from the EVEREST trial. Eur Heart J 2013;34:835–43. O’Connor CM, Stough WG, Gallup DS, et al. Demographics, clinical characteristics, and outcomes of patients hospitalised for decompensated heart failure: observations from the IMPACT-HF registry. J Card Fail 2005;11:200–5. Szatalowicz VL, Arnold PE, Chaimovitz C, et al. Radioimmunoassay of plasma arginine vasopressin in hyponatremic patients with congestive heart failure. New Engl J Med 1981;305:263–6. Cleland JG, Carubelli V, Castiello T, et al. Renal dysfunction in acute and chronic heart failure: prevalence, incidence and prognosis. Heart Fail Rev 2012;17:133–49. van Riet EE, Hoes AW, Limburg A, et al. 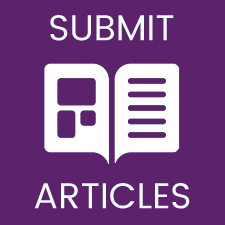 Prevalence of unrecognized heart failure in older persons with shortness of breath on exertion. Eur J Heart Fail 2014;16:772–7. Yousaf F, Collerton J, Kingston A, et al. Prevalence of left ventricular dysfunction in a UK community sample of very old people: the Newcastle 85+ study. Heart 2012;98:1418–23. Anand IS, Veall N, Kalra GS, et al. Treatment of heart failure with diuretics: body compartments, renal function and plasma hormones. Eur Heart J 1989;10:445–50. Oliver CM, Hunter SA, Ikeda T, et al. Junior doctor skill in the art of physical examination: a retrospective study of the medical admission note over four decades. BMJ Open 2013;3(4). Gadsbøll N, Høilund-Carlsen PF, Nielsen GG, et al. Symptoms and signs of heart failure in patients with myocardial infarction: reproducibility and relationship to chest X-ray, radionuclide ventriculography and right heart catheterization. Eur Heart J. 1989;10:1017–28. Damy T, Kallvikbacka-Bennett A, Zhang J, et al. Does the physical examination still have a role in patients with suspected heart failure? Eur J Heart Fail. 2011;13:1340–8. Drazner MH, Rame JE, Stevenson LW, et al. Prognostic importance of elevated jugular venous pressure and a third heart sound in patients with heart failure. N Engl J Med 2001;345:574–81. Pellicori P, Kallvikbacka-Bennett A, Zhang J, et al. Revisiting a classical clinical sign: jugular venous ultrasound. Int J Cardiol 2014;170:364–70. Pellicori P, Kallvikbacka-Bennett A, Dierckx R, et al. Prognostic significance of ultrasound-assessed jugular vein distensibility in heart failure. Heart 2015;101:1149–58. Pellicori P, Carubelli V, Zhang J, et al. IVC diameter in patients with chronic heart failure: relationships and prognostic significance. JACC Cardiovasc Imaging 2013;6:16–28. Nagueh SF, Kopelen HA, Zoghbi WA. Relation of mean right atrial pressure to echocardiographic and Doppler parameters of right atrial and right ventricular function. Circulation 1996;93:1160–9. Pellicori P, Hutchinson K, Clark AL, et al. Does speckle tracking really improve diagnosis and risk stratification in patients with HF with normal EF? J Am Coll Cardiol 2014;64:1535. Sherwi N, Pellicori P, Joseph AC, et al. Old and newer biomarkers in heart failure: from pathophysiology to clinical significance. J Cardiovasc Med (Hagerstown) 2013;14:690–7. Maisel A, Barnard D, Jaski B, et al. Primary results of the HABIT Trial (heart failure assessment with BNP in the home). J Am Coll Cardiol 2013;61:1726–35. Hutchinson K, Pellicori P, Dierckx R, et al. Remote telemonitoring for patients with heart failure: might monitoring pulmonary artery pressure become routine? Expert Rev Cardiovasc Ther 2014;12:1025–33. Conraads VM, Tavazzi L, Santini M, et al. Sensitivity and positive predictive value of implantable intrathoracic impedance monitoring as a predictor of heart failure hospitalizations: the SENSE-HF trial. Eur Heart J 2011;32:2266–73. Ritzema J, Troughton R, Melton I, et al. ; Hemodynamically Guided Home Self-Therapy in Severe Heart Failure Patients (HOMEOSTASIS) Study Group. 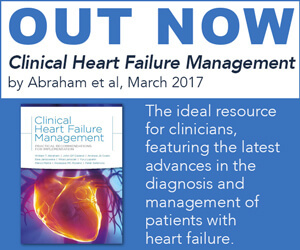 Physician-directed patient selfmanagement of left atrial pressure in advanced chronic heart failure. Circulation 2010;121:1086–95. Abraham WT, Adamson PB, Bourge RC, et al. ; CHAMPION Trial Study Group. Wireless pulmonary artery haemodynamic monitoring in chronic heart failure: a randomised controlled trial. Lancet 2011;377:658–66. Pellicori P, Cleland JG. Update on management of heart failure with preserved ejection fraction. Curr Opin Cardiol 2015: epub ahead of press. Cleland JG, Pellicori P. Defining diastolic heart failure and identifying effective therapies. JAMA. 2013;309(8):825–6. de Silva R, Rigby AS, Witte KK, et al. Anemia, renal dysfunction, and their interaction in patients with chronic heart failure. Am J Cardiol 2006;98:391–8. Setoguchi S, Stevenson LW, Schneeweiss S. Repeated hospitalizations predict mortality in the community population with heart failure. Am Heart J 2007;154:260–6. Wilson JR, Reichek N, Dunkman WB, et al. Effect of diuresis on the performance of the failing left ventricle in man. Am J Med 1981;70:234–9. Richardson A, Bayliss J, Scriven AJ, et al. Double-blind comparison of captoprilalone against frusemide plus amiloride in mild heart failure. Lancet 1987;2:709–11. Patterson JH, Adams KF Jr, Applefeld MM, et al. Oral torsemide in patients with chronic congestive heart failure: effects on body weight, edema, and electrolyte excretion. Torsemide Investigators Group. Pharmacotherapy 1994;14:514–21. Channer KS, McLean KA, Lawson-Matthew P, et al. Combination diuretic treatment in severe heart failure: a randomised controlled trial. Br Heart J 1994;71:146–50. Jentzer JC, DeWald TA, Hernandez AF. Combination of loop diuretics with thiazide-type diuretics in heart failure. J Am Coll Cardiol 2010;56:1527–34. Zannad F, McMurray JJ, Krum H, et al. ; EMPHASIS-HF Study Group. Eplerenone in patients with systolic heart failure and mild symptoms. N Engl J Med. 2011;364:11–21. Pitt B, Zannad F, Remme WJ, et al. The effect of spironolactone on morbidity and mortality in patients with severe heart failure. Randomized Aldactone Evaluation Study Investigators. N Engl J Med 1999;341:709–17. Tsutamoto T, Wada A, Maeda K, et al. Effect of spironolactone on plasma brain natriuretic peptide and left ventricular remodeling in patients with congestive heart failure. J Am Coll Cardiol 2001;37:1228–33. Bayliss J, Norell M, Canepa-Anson R, et al. Untreated heart failure: clinical and neuroendocrine effects of introducing diuretics. Br Heart J 1987;57:17–22. Francis GS, Siegel RM, Goldsmith SR, et al. Acute vasoconstrictor response to intravenous furosemide in patients with chronic congestive heart failure. Activation of the neurohumoral axis. Ann Intern Med 1985;103:1–6. Gupta S, Waywell C, Gandhi N, et al. The effects of adding torasemide to standard therapy on peak oxygen consumption, natriuretic peptides, and quality of life in patients with compensated left ventricular systolic dysfunction. Eur J Heart Fail 2010;12:746–52. Neuberg GW, Miller AB, O’Connor CM, et al. ; PRAISE Investigators. Prospective Randomized Amlodipine Survival Evaluation. Diuretic resistance predicts mortality in patients with advanced heart failure. Am Heart J 2002;144:31–8. Domanski M, Norman J, Pitt B, et al. ; Studies of Left Ventricular Dysfunction. Diuretic use, progressive heart failure, and death in patients in the Studies Of Left Ventricular Dysfunction (SOLVD). J Am Coll Cardiol 2003;42:705–8. Eshaghian S, Horwich TB, Fonarow GC. Relation of loop diuretic dose to mortality in advanced heart failure. Am J Cardiol 2006;97:1759–64. Grinstead WC, Francis MJ, Marks GF, et al. Discontinuation of chronic diuretic therapy in stable congestive heart failure secondary to coronary artery disease or to idiopathic dilated cardiomyopathy. Am J Cardiol 1994;73:881–6. de Jonge JW, Knottnerus JA, van Zutphen WM, et al. Short term effect of withdrawal of diuretic drugs prescribed for ankle oedema. BMJ 1994;308:511–3. van Kraaij DJ, Jansen RW, Bouwels LH, et al. Furosemide withdrawal in elderly heart failure patients with preserved left ventricular systolic function. Am J Cardiol 2000;85:1461–6. Udelson JE, Smith WB, Hendrix GH, et al. Acute hemodynamic effects of conivaptan, a dual V(1A) and V(2) vasopressin receptor antagonist, in patients with advanced heart failure. Circulation 2001;104:2417–23. Konstam MA, Gheorghiade M, Burnett JC Jr, et al. ; Efficacy of Vasopressin Antagonism in Heart Failure Outcome Study With Tolvaptan (EVEREST) Investigators. Effects of oral tolvaptan in patients hospitalized for worsening heart failure: the EVEREST Outcome Trial. JAMA 2007;297:1319-31. Gheorghiade M, Niazi I, Ouyang J, et al. Vasopressin V2-receptor blockade with tolvaptan in patients with chronic heart failure: results from a double-blind, randomized trial. Circulation 2003;107:2690-6. Udelson JE, Bilsker M, Hauptman PJ, et al. A multicenter, randomized, double-blind, placebo-controlled study of tolvaptan monotherapy compared to furosemide and the combination of tolvaptan and furosemide in patients with heart failure and systolic dysfunction. J Card Fail 2011;17:973–81. van Veldhuisen DJ, Genth-Zotz S, Brouwer J, et al. Highversus low-dose ACE inhibition in chronic heart failure: a double-blind, placebo-controlled study of imidapril. J Am Coll Cardiol 1998;32:1811–8. Cleland JG, Shah D, Krikler S, et al. Effects of lisinopril on cardiorespiratory, neuroendocrine, and renal function in patients with asymptomatic left ventricular dysfunction. Br Heart J 1993;69:512–5. Rosenberg J, Gustafsson F, Remme WJ, et al. Effect of betablockade and ACE inhibition on B-type natriuretic peptides in stable patients with systolic heart failure. Cardiovasc Drugs Ther 2008;22:305–11. The Captopril-Digoxin Multicenter Research Group. Comparative effects of therapy with captopril and digoxin in patients with mild to moderate heart failure. JAMA 1988;259:539–544. Rahimtoola SH. Digitalis therapy for patients in clinical heart failure. Circulation 2004;109:2942–6. Tuomainen PO, Magga J, Timonen P, et al. Intermittent levosimendan treatment in patients with severe congestive heart failure. Clin Res Cardiol 2013;102:485–93. Pellicori, A Clark A. Clinical trials update from the European Society of Cardiology – Heart failure meeting 2015: AUGMENT-HF, TITRATION, STOP-HF, HARMONIZE, LION HEART, MOOD_HF, renin-angiotensin inhibitors in patients with heart and renal failure. Eur J Heart Fail 2015 [Epub ahead of print]. Evangelista L, Doering LV, Dracup K, et al. Compliance behaviors of elderly patients with advanced heart failure. J Cardiovasc Nurs 2003;18:197–206; quiz 207–8. Butler J, Arbogast PG, Daugherty J, et al. Outpatient utilization of angiotensin-converting enzyme inhibitors among heart failure patients after hospital discharge. J Am Coll Cardiol 2004;43:2036–43. Bouvy ML, Heerdink ER, Urquhart J, et al. Effect of a pharmacist-led intervention on diuretic compliance in heart failure patients: a randomized controlled study. J Card Fail 2003;9:404–11. Abildgaard U, Aldershvile J, Ring-Larsen H, et al. Bed rest and increased diuretic treatment in chronic congestive heart failure. Eur Heart J 1985;6:1040–6. Flapan AD, Davies E, Waugh C, et al. The influence of posture on the response to loop diuretics in patients with chronic cardiac failure is reduced by angiotensin converting enzyme inhibition. Eur J Clin Pharmacol 1992;42:581–5. Li Y, Fu B, Qian X. Liberal versus restricted fluid administration in heart failure patients. A systematic review and meta-analysis of randomized trials. Int Heart J 2015;56:192–5. Gupta D, Georgiopoulou VV, Kalogeropoulos AP, et al. Dietary sodium intake in heart failure. Circulation 2012;126:479–85. Aliti GB, Rabelo ER, Clausell N, et al. Aggressive fluid and sodium restriction in acute decompensated heart failure: a randomized clinical trial. JAMA Intern Med 2013;173:1058–64. Paterna S, Gaspare P, Fasullo S, et al. Normal-sodium diet compared with low-sodium diet in compensated congestive heart failure: is sodium an old enemy or a new friend? Clin Sci (Lond) 2008;114:221–30. Dierckx R, Pellicori P, Cleland JG, et al. Telemonitoring in heart failure: Big Brother watching over you. Heart Fail Rev 2015;20:107–16. Cleland JG, Tendera M, Adamus J, et al. ; PEP-CHF Investigators. The perindopril in elderly people with chronic heart failure (PEP-CHF) study. Eur Heart J 2006;27:2338–45. Yip GW, Wang M, Wang T, et al. The Hong Kong diastolic heart failure study: a randomised controlled trial of diuretics, irbesartan and ramipril on quality of life, exercise capacity, left ventricular global and regional function in heart failure with a normal ejection fraction. Heart 2008;94:573–80. Solomon SD, Zile M, Pieske B, et al. ; Prospective comparison of ARNI with ARB on Management Of heart failUre with preserved ejectioN fracTion (PARAMOUNT) Investigators. The angiotensin receptor neprilysin inhibitor LCZ696 in heart failure with preserved ejection fraction: a phase 2 double-blind randomised controlled trial. Lancet 2012;380:1387–95. Núñez J, González M, Miñana G, et al. Continuous ambulatory peritoneal dialysis as a therapeutic alternative in patients with advanced congestive heart failure. Eur J Heart Fail 2012;14:540–8. Koch M, Haastert B, Kohnle M, et al. Peritoneal dialysis relieves clinical symptoms and is well tolerated in patients with refractory heart failure and chronic kidney disease. Eur J Heart Fail 2012;14:530–9. Lu R, Muciño-Bermejo MJ, Ribeiro LC, et al. Peritoneal dialysis in patients with refractory congestive heart failure: a systematic review. Cardiorenal Med 2015;5:145–56.